Gram has been considered as one of the healthiest among all food-grains. 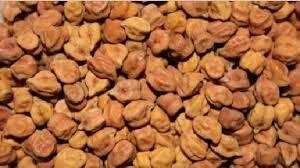 It has many varieties, Chickpea, Bengal gram, black gram. But I have always known it as chana. 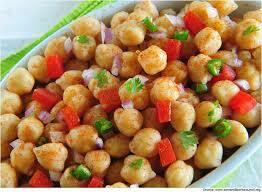 Kabuli chana is most famous, as it is used to prepare chole- छोले. 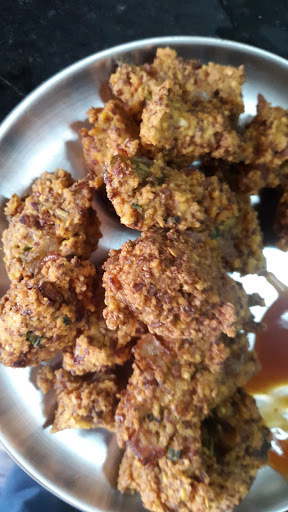 it is a famous Punjabi dish but has now become most famous/popular dish world over. Around the globe people know this dish. This gram plant is consumed raw as “greens” also called as चने का साग।After, the legumes are filled with green grams inside, we often eat it raw or roast it in fire and then take out the roasted green gram and eat. Grandmother and Elders have passed on to us a story which is about the Birbal. He was one of the nine Gems in the court of Akbar, the Mughal ruler who ruled Delhi from 1556 to 1605. Once Birbal was given punishment and sent to jail. He was permitted to have one food-grain with him and nothing else will be given to him. He had chosen the Gram. Why? Since gram have many benefits, It can be consumed in many ways. It can be soaked overnight in water and eaten in morning raw? It tastes good. It can be boiled, or it can be sprouted and eaten raw. 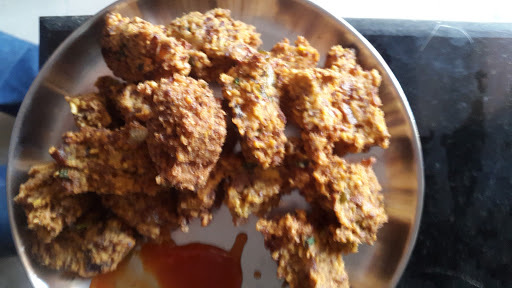 It can be fried with other vegetables. It can be made into paste and cooked like a pancake. The popular item in every home is Besan- बेसन the gram flour. Sprouted gram seeds with other raw vegetable or fruits can be an ideal SALAD. You need gram soaked in water for overnight as per necessity, May be one cup. Green chilli as per taste. Or red chilli? If you want –green coriander leaves. But good thing is that you can experiment with our Indian dishes. You can add many spices if you like the taste. Coriander seeds, cumin. However हींग Asafetida is must, as it is considered medicinal properties and relieves stomach gas etc? Oil in pan to fry. Put one cup gram soaked overnight in water into the mixer grinder/small jar. Turn around for few seconds, check the thickness. The paste should not a thin and liquid. but coarse. If you want, you can add cut green chilli, onion, garlic, ginger, green coriander before grinding the grams. But otherwise cut onion, garlic, ginger, green coriander leaves, green chilli into small pieces. When paste is done, add these cut pieces into the paste. Heat the oil into a pan to fry gram. When oil is heated, roll gram paste/mixture into small balls. Traditionally the paste is rolled into a large round shape that covers the palm of your hand. It is advisable to drip your hand into water before making the roll so as to stop paste from sticking to your hand. Then as you make balls immediately keep dropping these balls in the hot oil. The sizzling sound of oil and air bubbles will tell you when they are done or just try to take out these balls after one minute or see that they are not burnt? The another accompanying drink is Butter milk. When did human invent the butter milk? do you have any idea? i don’t know? but time immemorial in India we heard the tales of Lord Krishna stealing the butter from his mother and neighbour’s houses. He used to get thrashing and scolding for this stealing. 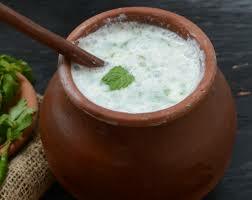 The women of households used to churn out buttermilk from the curd. All over the rural India we find this mathani मथानी and गगरी gagari used for churning. there are many versions- the wall mounted or stand alone. Many were well decorated few are of very primal design. 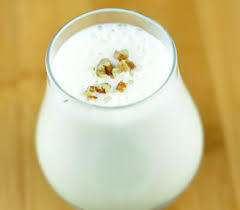 The method of churning milk and make butter from milk is also centuries old. The technology used for this is also well developed many centuries ago in India. The mathani used and the gujari are also made into toys. But due to the urbanisation and westernisation people are loosing their own heritage. One best thing happened due to urbanization and westernisation is that now days we get buttermilk in a package form. Is it necessary to be westernized or urbanised to get a packaged food? 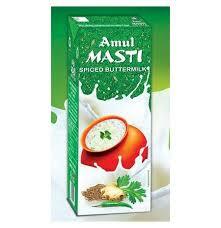 Most famous was, is and will be our own AMUL brand. Utterly butterly Amul. Thanx to Dr Kurien that we have AMUL in India. The Tetra pack technology has revolutionized the food processing industry in world. Whole economy has changed. now we get a packed buttermilk having shelf life of 180 days. Unbelievable though? but seeing is believing. Daily we are consuming many packaged food. With the aloo(potato) ke paratha or simple chana vada always have some glassful of buttermilk. that is very healthy breakfast. Try it ? Peels can help to eliminate from most old amendments dermatological cover. exfoliation efficient at any age, intended for skin of any species. After light peeling disappear minor wrinkles, epidermis turns out smooth, without wrinkles. Rehabilitation – 3 days. an Average peeling well struggles wrinkles (expression, age, affects small pits, eliminates age spots. Adaptation – seven days. Profound peeling conducting in the beauty clinics. This is maximum effective operation, however requires long period adaptation – about four weeks.